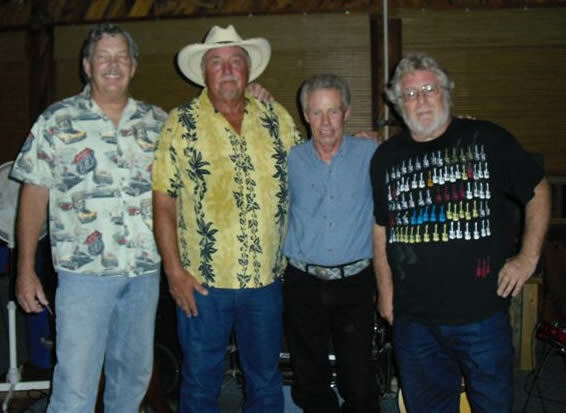 THIS IS THE WHISKEY RIVER BAND THAT HAS PLAYED TOGETHER FOR 30 YEARS. MIKE MONTIEL AND MICHAEL DONATHAN WENT ON THE CARAVAN CIRCUIT ALL DURING THE 80's WITH THE NEW WHISKEY'S RON SODOS AND LATER RON NEMEC. THE CARAVAN CIRCUIT CONSISTED OF PUEBLO CO. AMARILLO TX, EL PASO TX. LUBBOCK TX. MR R'S SANTA FE,(and lots more) WITH ALBUQUERQUE'S CARAVAN BEING HOME BASE. THEY WERE CONTRACTUALLY FREE TO PLAY THE LINE CAMP AND DID SO UPON OCCASION. MIKE MONTIEL BROKE OUT AND HELPED FORM THE JAKES BAND. 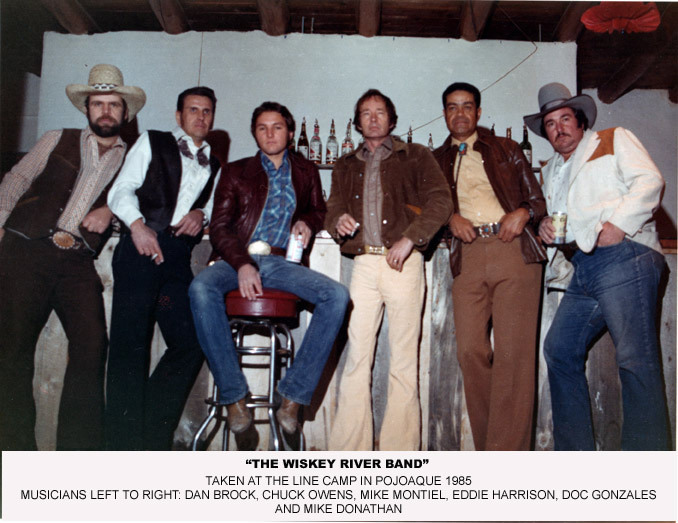 THE WHISKEY RIVER BAND ARE ALL PLAYING AGAIN AFTER SOME HEALTH ISSUES STOPPED THEN FOR AWHILE, BUT THEY ARE BACK AT IT AGAIN,BETTER THAN EVER. THEY DON'T HAVE TO PLAY "THEY LOVE TO PLAY " AND IT SHOWS. They are probably best known for appearances at the famed "Line Camp" in Pojoaque NM. Eddie V. Harrison and Bill Hutchinson - Los Alamos - Nov. 2010 .